Figs have been cultivated and eaten for centuries and were first introduced to the U.S. in the 1500s. Today, fig trees can be grown in many parts of the U.S., including Texas. Along the Texas Gulf Coast, the climate is particularly suited for fig trees, according to the Texas A&M AgriLife Extension. In the northern and western parts of the state, the trees may need to be protected from cold during the winter. In parts of the state where winters are mild, it's best to plant fig trees in late fall, at the beginning of the dormant season. In areas where winters are colder, wait until late winter to plant. Choose a planting site for your fig tree. Look for a spot that gets plenty of sunlight for most if not all of the day. Early morning sun is important for fig trees because it helps dry the dew. Dig a hole large enough to accommodate the tree's root structure. Keep in mind that fig trees should be planted between 2 and 4 inches deeper than they were grown at the nursery. Remove the tree from its planting container and inspect the root structure for damaged roots. Remove any damaged or broken roots using pruning tools. Place the tree in the hole, setting it firmly but gently against the soil. Allow the roots to spread out naturally to prevent them from bending or becoming damaged. Fill the hole in with the surrounding soil, using your hands or feet to pack the dirt down firmly to remove air bubbles. Water the tree immediately after planting. Young fig trees will need regular deep waterings to help them become established. In dry parts of western Texas, make sure the trees get a deep watering at least every one to two weeks. Figs will grow best in a well-draining soil. If your soil holds water more than 24 hours after rainfall, the roots of the tree can die due to insufficient oxygen. In regions of Texas where winters are cold and there are subfreezing temperatures, consider placing straw mulch around the base of the tree to protect the soil temperature from becoming too cold. 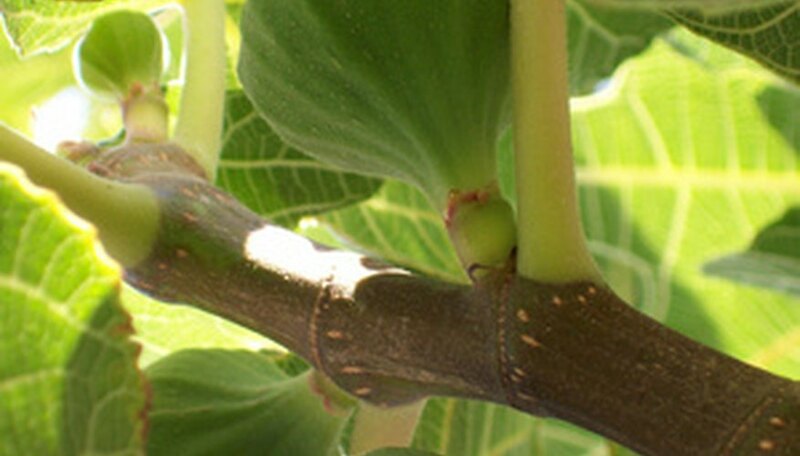 Fig trees do not require regular pruning, but older, mature trees can be thinned out to encourage new growth and increase the size of the fruit. Do not apply fertilizer to a fig tree at planting time. It can damage the tree or its root system.